Despite the fact that smart watches are still somewhat new to the electronics market, it is extremely difficult to find someone who at least once heard about this miracle of technology. Everyone can find in them something unique and comfortable for yourself. Someone important always to be aware of all announcements, letters and phone calls, which is difficult to achieve without constant monitoring of your smartphone (which is often quite uncomfortable), someone looking at smartwatches coach and mastermind to new sports feats, and someone just wants to keep up with the times and keep up with the latest trends. 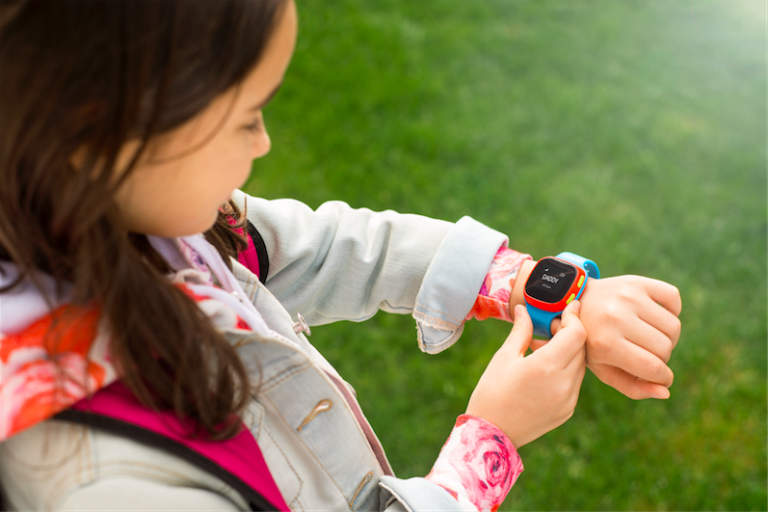 The theme of smart watches is a frequent guest on our blog and today we’ll talk about interesting devices for adults and children. In our field of vision got gadgets in different directions and with different characteristics: from simple basic models to full-fledged “monster” with vast opportunities. Some are aimed at active people and sports, others are good for everyday use. Let’s see what’s on offer well-known brands Alcatel, TomTom and Pebble are quite discerning modern buyers. What special can I say about the smart watch Alcatel One Touch Watch Go? And that at an affordable price, the device has an impressive list of advantages and proprietary chips. Steel impact-resistant and water-resistant housing made according to the IP67 standard, also boasts and attractive design. On the hand, the device looks modern and sporty appearance gives him the right to be a clock on every day. Adjustable polyurethane strap will comfortably wear a watch, and engage them in physical exercise. Watches notify about incoming calls, messages and events, and setting on your smartphone feature-rich app Alcatel Move, you can get extensive information on activity throughout the day. A great feature is the ability to control the music player. It is worth noting remotely control camera of your smartphone that gives you the opportunity to conveniently take group photos and selfies, but also conducive to the development of new types of creativity. This function can be used at a distance up to ten meters, which is a very decent figure. Smart watch Alcatel One Touch Watch Go have a wonderful IPS screen with a diagonal of 1.22 inches and a resolution of 240×204 pixels. Display touch, bright and does not lose readability in bright sunlight. The device is already routinely equipped with the necessary “sporting set” of sensors, including gyroscope, accelerometer, altimeter, compass and heart rate sensor. But perhaps the most important advantage is their hours of autonomy – built-in battery with a capacity of 225 mAh capacity enough for five days of work. The autonomy of the device allows you to take it with you even on a hike, without fear of premature discharge. The watch is charged via standard microUSB connector and support quick charging. One Touch Go Watch represent stylish, reliable and functional smart watch, suitable for sports and daily wear. The wide availability and accessibility allow them to “survive” in difficult market of smart hours. The model is available in two colors: Alcatel One Touch Go Watch Black/Red and the Alcatel One Touch Watch Go White/Gray. 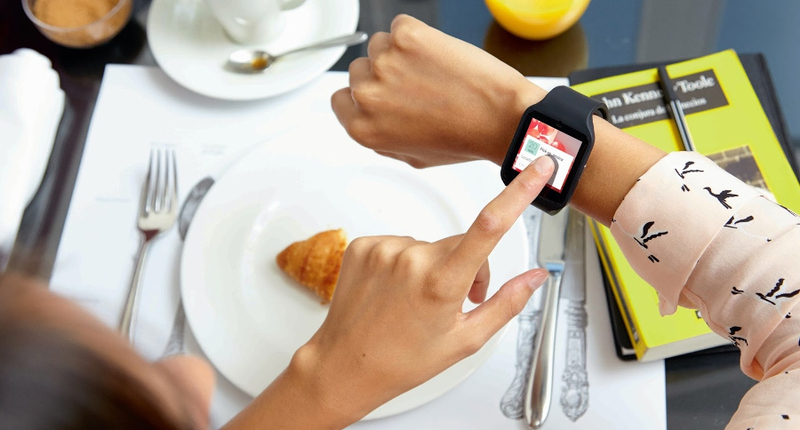 Portable wearable device has ceased to be just an accessory or a business assistant. Many manufacturers are receiving more attention models to the safety of both adults and children. 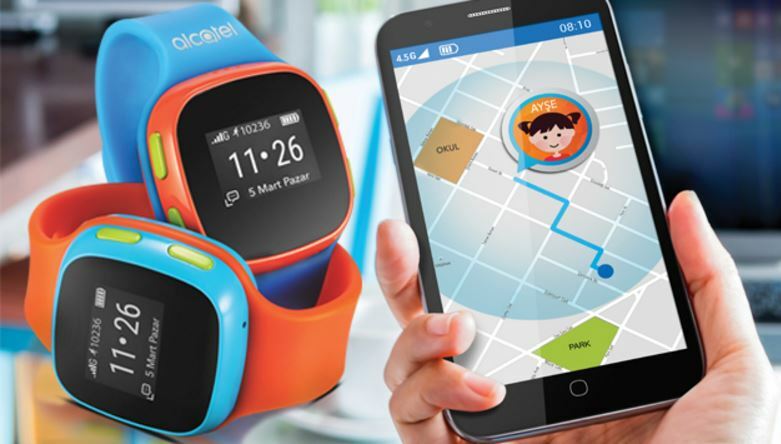 With children smartwatch from Alcatel, you will always be aware of the movements and whereabouts of your child and will be completely relaxed. 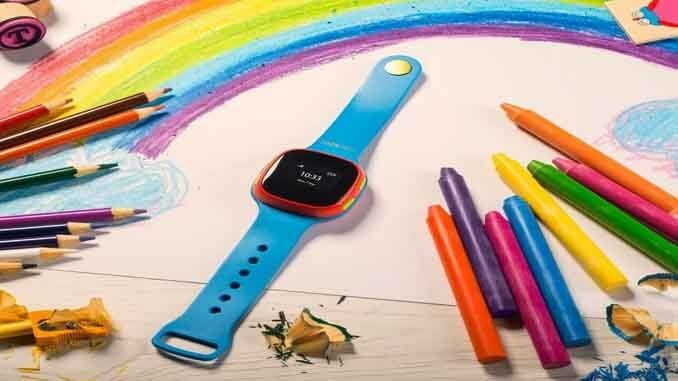 Now, under the brand Alcatel is available in two models of children’s smart watch: Alcatel Move Time Kinder and Alcatel Move Time Kids Watch. Let’s define, what are the qualities of a smart device designed for children. This is definitely the autonomy, reliability and sustainability. Case of both models is made of soft, pleasant to the touch, but resistant to damage materials – a combination of plastic and rubber. The strap is made of silicone, which is not exposed to rupture is a guarantee that the child will not lose and will not break the clock. With battery 380 mAh device surely will last up to four days. The main thing is the quality of such devices is, of course, positioning and emergency contact with parents. Both devices have built-in GPS module, which sends the coordinates of the hours on your smartphone. You can see both the current location and to view the move history. For emergency situations on a younger model Move Time Kinder is a “SOS” button, clicking which, the child sends a notification to the smartphone of parents. Older model – Move Time Kids Watch – has a slot for a SIM card with memory for 10 numbers and allows you to make and receive calls. Both versions of the Alcatel Move Time have on Board Wi-Fi modules and Bluetooth and pedometer, support for iOS and Android platforms. Of the advantages you can also select contrast OLED screen that displays the necessary information. In General, smart watches Alcatel Move Time will become interesting and modern accessory for baby and will save parents from unnecessary worries. They are equipped with the bare Essentials with no frills, so as not to distract the child and at the same time always be there in case of emergency. If You don’t want to Wade through a mountain of unnecessary functions, to bother with long setup and fit smart watch, or do You just need a stylish accessory with a set of only the most necessary functions, pay attention to smart watches Pebble 301. All brilliant – easy! This is the motto of a smart watch from a reputable manufacturer. 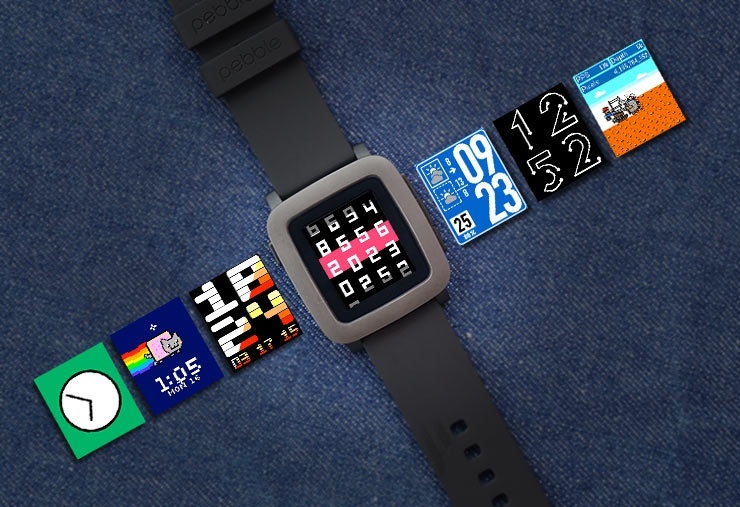 Pebble decided to use as a screen of e-paper E-Paper, which increases the autonomy of the device up to 7 days! Agree, a decent figure among the similar gadgets. 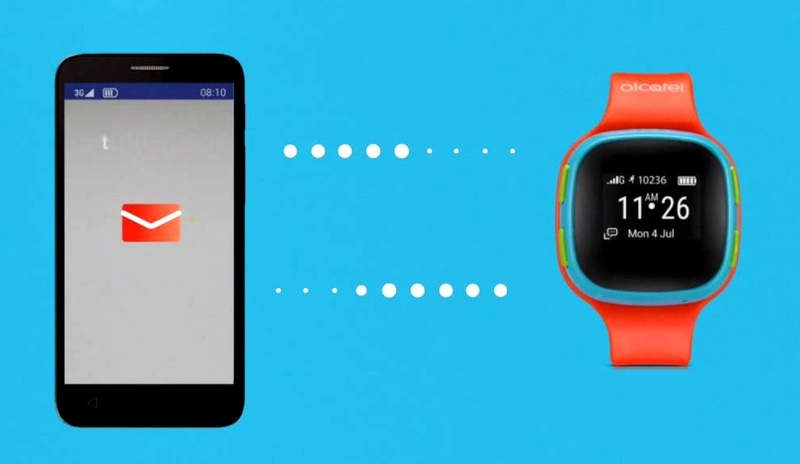 Smart watch “friends” with iOS and Android smartphones allow you to view tasks and receive notifications. 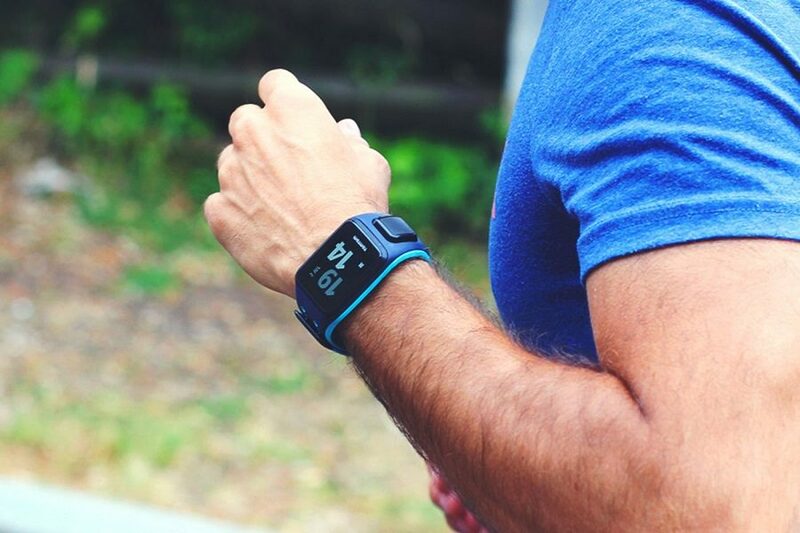 No event will be missed – Pebble 301 feature vibroplasty. 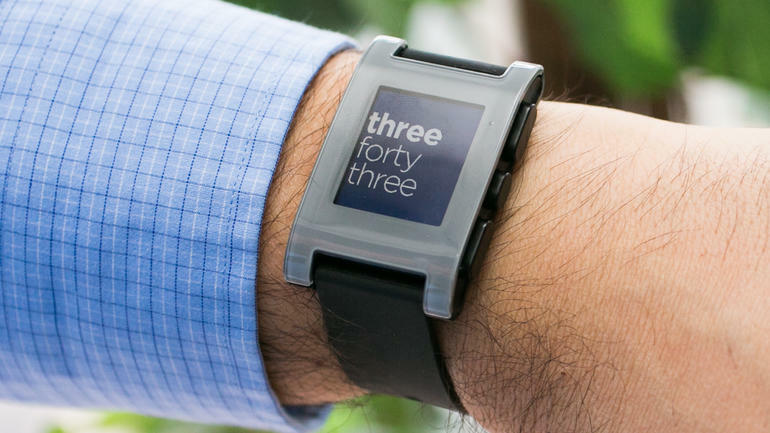 Interesting to watch is the Pebble design. To severe, but not boring appearance watch can add their software “embellishment”. With the launch of a branded app on the smartphone begins the real magic! Design on the screen of e-paper looks great. Add to this the ability to change the straps – and get a truly unique device. Of course, Pebble 301 can work as fitness tracker. The watch is available in several modes, depending on what type of activity You do. And, of course, as befits an “adult” watch, the Pebble you can go swimming. Modern smart watch from Pebble will not cease to delight the user reliable work. Perhaps this is one of the best and original devices of this class. The main idea behind the creation of these smart watches was to produce a device with maximum functionality and informative content. It is with these qualities and have the Pebble Time. 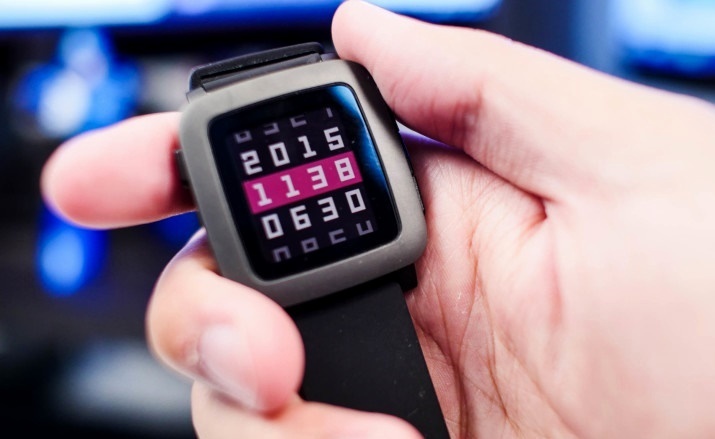 The gadget is running its own operating system Pebble OS Timeline and allows to use all the native Pebble app, and from third-party developers. Of course, the device syncs with smartphones on iOS and Android. All important notices will be timely available on your gadget, than You will know by vibroplasty. The functionality of the smart watch, the Pebble Time, have the usual set of sensors: pedometer, accelerometer and gyroscope. It is worth noting good watertightness, allowing you to enjoy water sports. A special praise deserves the appearance of the device. The company Pebble has released a smart watch with a smart sporty design and interchangeable straps to give individuality to. But if we add to this the huge number of available dials, the device turns into a exclusive accessory. 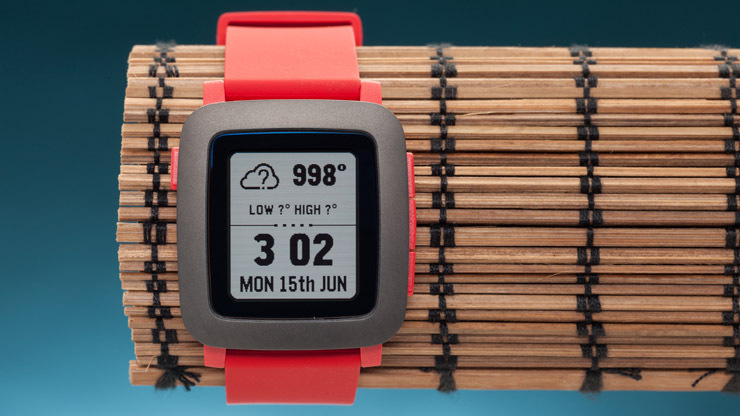 Unlike the previous model 301 Pebble, Pebble Time, has received juicy LCD display. The 1.25-inch color screen features led backlighting, and thanks to the built-in light sensor has a function of automatic brightness adjustments, which extends the autonomy of the Pebble Time up to seven working days. This model has a basic set of functions of smart watches and will fit almost any man as a convenient device for each day. If You haven’t been using wearable electronics, the Pebble Time — definitely a decent copy for a first acquaintance. 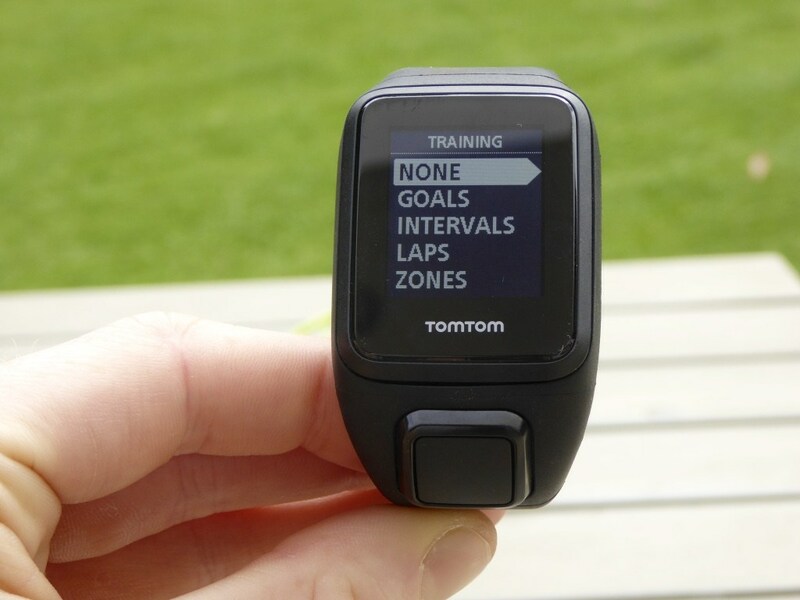 Model TomTom Spark 3 is almost completely focused on exploitation as a fitness hours, aided by “stuffing” – there is a serious planner training with a variety of preinstalled applications. On flash-memory Spark 3 (which is 3 GB) can store maps for sports or upload your favorite music to while training to eliminate the need to have a mobile phone. The location and the routes taken will always be precisely determined by the integrated GPS module. In the smart watch you can also engage in water sports device has a degree of water protection 40M. 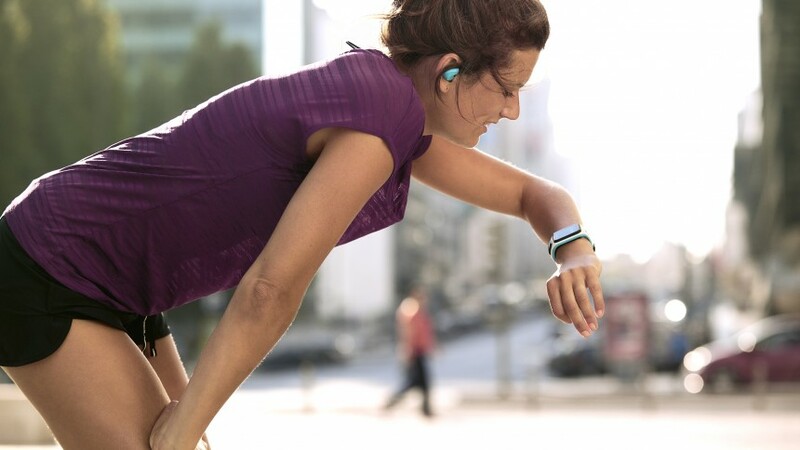 Spark 3 installed high-precision sensors pedometer and heart rate monitor, a built in compass. With a watch from TomTom, you can forget about the need for regular recharging – Spark 3 is equipped with a battery capable of supporting the autonomy of up to 21 days. However, when constantly running the GPS, this drops to 13 hours of continuous work. Pleased with the device and the display is bright and readable in any light. The watch is equipped with a module Bluetooth to sync with smartphones and personal computers. TomTom Spark 3 is quite versatile and “friendly” with gadgets running most operating systems: Android, iOS, Windows and Mac OS X.
Sleek design and robust casing makes the device attractive for daily use as smart watches, and a variety of programs in athletic training will satisfy active people, giving the sport an important value in my life. 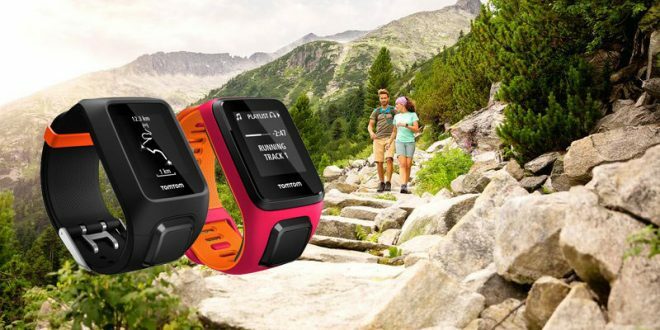 Externally and functionally smart watches TomTom Runner 3 has a lot of similarities with Spark 3. Runner 3 can also be attributed to high-tech devices, however, if we compare these two models, the Spark 3 with a number of stricter and closer to the classics that are ideal for daily use, and more vivid Runner 3 will be relevant for sports. The number of color variations have version Runner provide the option to choose the design according to your taste and to suit your style. The main advantage of the model in technical terms is the presence of a mode “Multisport” which will help to adjust physical activity throughout the day. Runner 3 have universal planner training, reflecting personal athletic progress. In addition, the device tracks activity throughout the day, allows you to measure steps and calories. By syncing your smart watch with your smartphone, you can view detailed information and monitor sleep modes to identify the most auspicious time of awakening. The device has a GPS tracker, which you can use to determine your location, see your current speed and use a compass. TomTom Runner 3 pleases the eye with bright color display diagonal of 1.3 inches and a resolution of 144×168 pixels. Watch waterproof, they can safely make water procedures and a swimming pool. By analogy with Spark 3, on GPS “drops off” the battery on average for 13 hours, and when turned off GPS tracker 3 Runner will last on a single charge up to 21 days. 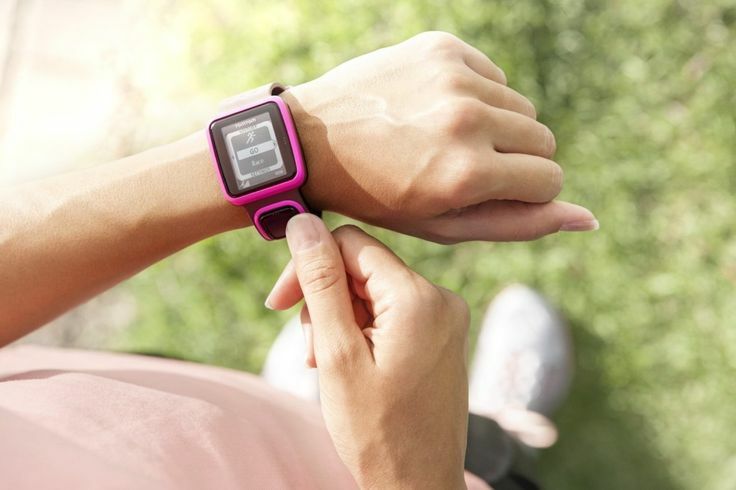 No matter whether You’re a beginner in sports or a professional athlete – TomTom Runner 3 will be a great companion for sports and will help Express your personality. Smart watch is available in several sizes and colors: version with size “L” is presented in black and greenand smaller model S can be choose from black-green and pink colors. 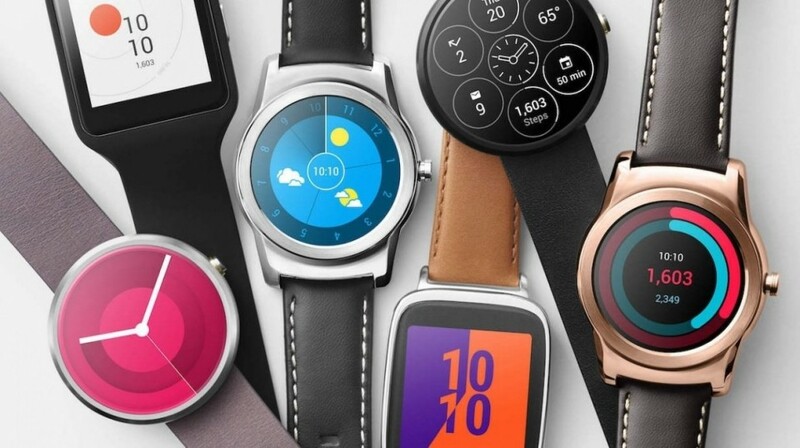 You are reading an article on the Smart watches Alcatel, TomTom and Pebble: overview of popular models. All materials on the site Gadgets F, а также и статья Smart watches Alcatel, TomTom and Pebble: overview of popular models - written for the purpose of information enrichment and we are happy if you like our magazine.